Weymouth is a very popular area to visit. There is plenty to do and see, and it’s popular among tourists who visit from all over the world. Visiting Weymouth can be very exciting. There are many tourist attractions and historical landmarks to explore. Plus, there are plenty of outdoor activities to enjoy. This guide will include the highlights and must see attractions that you can enjoy whilst visiting our lovely seaside town. If you are planning a holiday to Weymouth, be sure to read our guide and make a note of the places that interest you. Choose one of the sections below to read information about the area that interests you. There are 8 wonderful beaches located in and around Weymouth. So you are likely to find the perfect beach to enjoy whilst you are here. Here is a brief description of each. This beautiful sandy beach draws tourists and visitors from all over the world. The shallow waters are perfect for safe swimming or paddling. The beach curves in an arc with Weymouth Pier at the south end. You will be able to enjoy a range of activities including Punch and Judy shows and donkey rides. (Portland Harbour) A quiet sandy beach with café and restaurant. You can find crazy golf and swimming available at this sand and shingle beach. (Portland Harbour) This is a privately owned beach which is popular for diving, snorkelling, swimming and sailing. This shingle beach offers deck chair and beach hut hire. You can find wind surfing, swimming and bathing at this sand and shingle beach. This dog friendly sand and pebble beach has a café and restaurant with a nearby pub. There is good fishing available at this pebble beach. Weymouth Town: Weymouth remains one of the most popular holiday destinations in Britain. It's sandy beaches and shallow waters make it perfect for holiday makers. In the town you will discover a wide range of cafés, pubs, restaurants, hotels and small specialist shops. Weymouth is a popular destination for sailing on the south coast. You will find the Weymouth and Portland National Sailing Academy in the nearby Portland Harbour. This was the host to the 2012 Olympic and Paralympic Games. Weymouth is the perfect base to explore the world famous Jurassic coast. You will find much of the coastline in both directions easily accessible. The Jurassic Skyline is a 53 metre high tower which allows visitors to view up to 16 miles of the Jurassic coastline. Weymouth has a rich history and there is much to see today as a reminder of its past. 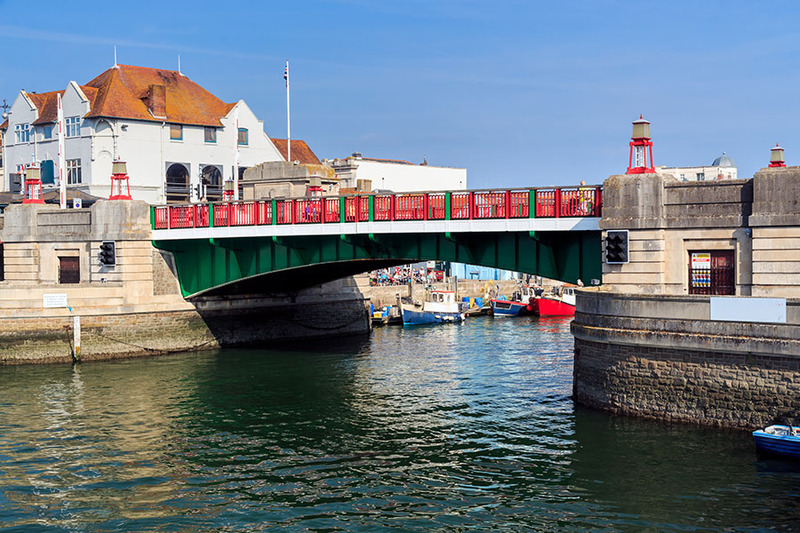 Discover more about the history of Weymouth and the surrounding areas. Let’s take a look at some of the best restaurants in Weymouth to enjoy. Here are some of the best restaurants in Weymouth that you can visit with the family. English and European dishes freshly prepared. Locally sourced produce. Fresh local fish. Great steaks, duck, lamb, belly pork, chicken,guinea fowl for example. Menu changes regularly. Pre order a fresh live lobster. Delicious traditional Sunday roast. For the best fish and chips in Weymouth, we recommend that you visit Bennett’s. All fish is sourced locally from sustainable sources and filleted daily. We recommend that you visit this Italian restaurant while in Weymouth. You will find a selection of Seafood, locally sourced meat, pizzas and traditional Italian pasta. Family owned café with light meals and drinks to offer. Perfect venue for a light lunch with the family and/or friends. A range of sausages for light meals, ideal for a breakfast or lunch event. Famous for a range of delicious sausages. A great little restaurant with local dishes. Serving breakfast, lunch and dinner. A great restaurant with home-made burgers using locally sourced ingredients. Serving modern British cooking for the family since 1990. High quality, hearty meals using local produce. Serving Italian cuisine and various Mediterranean meals. British and European dishes available as well. Serving a variety of British dishes. Vegetarian and gluten free options available. French and seafood restaurant. Offering a range of Mediterranean dishes too. Italian cuisine with gluten free options, and Mediterranean dishes. A selection of Traditional British pies and a changing variety of ales. Great food in a cosy atmosphere. A great place to relax with a drink, delicious seafood, steaks and more. Follow this link to our Guide to Restaurants and Places to Eat. You can read more about the featured places to eat as recommended by Redcliff Guest House. Taking the kids along with your holiday is a great idea. Weymouth has plenty of child friendly activities to enjoy, while you explore the area. This is an indoor and outdoor play area. It is a great activity centre that is perfect for smaller kids under the age of five years. It is safe environment with plenty of fun activities. One of Dorset's biggest soft play centres. This is a very exciting and adventurous activities. Children can enjoy 18 holes of exciting golfing fun. It has a pirate theme for the excitement. This Trail will leave plenty of clues for you to find a pleasure. 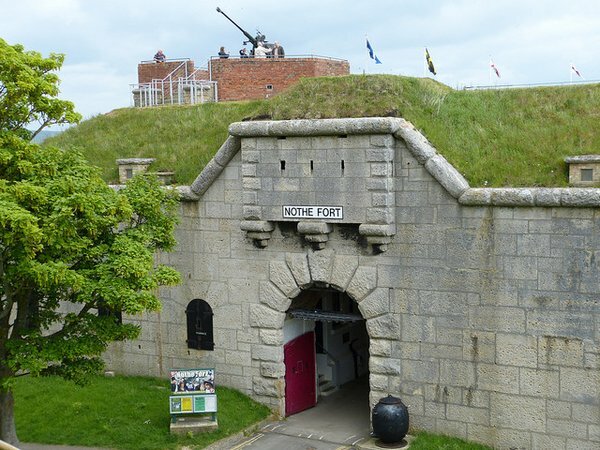 It's a great way to explore Weymouth and it's a self-guided treasure hunt tour. 18 lanes of fun for all ages. A huge indoor soft play area which covers 4 levels with 6 slides. A family friendly farm for kids to meet a range of farm animals. Follow this link to our Guide To Days Out With The Kids In Weymouth. You can read more about the featured places to eat recommended by Redcliff Guest House. Weymouth is very popular for family vacations. That’s because there is so much to see and do. If you are traveling with the family, here are great attractions for you to consider. When you visit Weymouth, there’s plenty to do and learn for everyone. Learn what you can do with the family with these great family activities. A day at the beach is always exciting. Activities to enjoy include trampolines, as well as mini golf. You can also visit the promenade for even more exciting activities. The Esplanade, Weymouth DT4 7AX. The museum contains life size dinosaur reconstructions and real dinosaur fossils and skeletons. Kingston Maurward Gardens & Animal Park. Come meet and feed the sheep, miniature Shetland ponies, alpacas, giant rabbits, chickens, goats, piglets, alpacas, and many more! Discover a variety of plants from all over the world. The Museum houses a wide variety of artifacts associated with the history and culture of Portland. Built in the early 1540s, this castle is one of Henry VIII’s finest coastal forts. Weymouth has plenty to offer visitors. Let’s take a look at some of the most local points of interest for visitors to the area. Weymouth is a great location to take the whole family for a vacation. It has plenty to offer and this includes exciting outdoor activities. Here are some of the most popular point of interest. A great way to explore the World Heritage Jurassic Coastline is by sea. Visit the harbour area to arrange your boat cruise. A wonderful venue to see a selection of beautiful swans. RSPB Weymouth Wetlands Radipole Lake. Perfect for bird watching and walking trails. A historic walking trail through Weymouth. A great hiking trail to enjoy. With great coastal views and plenty to do, Weymouth is a popular attraction among tourists. These are just some of the must-see attractions in Weymouth. A 45-metre pirate ship at the Weymouth Harbour. A sand sculpture festival is held every year. This is a wonderful indoor and outdoor attraction. It is perfect for kids of all ages and there are provides and interactive programs to enjoy. They can also experience amazing sea life displays to see. They can also take part in animal feeding sessions. A historical venue in Weymouth with views of the Jurassic Coast. The Fort is a labyrinth of Victorian underground passageways. A great tourist attraction and ideal for the kids. A tranquil spot in the historic old castle ruins. These are some of the great family attractions you can enjoy in Weymouth. Plan your trip in advance and book accommodation to ensure that you’ll get the best the city has to offer. Weymouth is quite popular and has a great nightlife too. This means that it’s not only the kids that get to enjoy this great location. There are plenty of bars and clubs that you can visit too. Follow this link to our Guide To Weymouth Nightlife. You can read more about the featured places to eat recommended by Redcliff Guest House. Weymouth is ideal as a holiday location for the whole family. With plenty of attractions for kids, this is a great way to spend time with the family. Here are some great activities that you can consider. When you visit Weymouth, you have to take part in their great activities, scenery and events. Here are a few great activities that you can enjoy in Weymouth. Perfect for ski enthusiasts. Learn new skills at this outdoor dry ski slope. Weymouth Outdoor Education Centre and Paddlesports Academy. Activities include: sailing, kayaking, climbing, coasteering and abseiling. Enjoy views of Weymouth from the water by hiring your own charter. A shallow boat designed to take you around the beach area. Take a diving lesson with a professional instructor. You can play a round of golf with family and friends. Hire a bike and ride around Weymouth. A great way to enjoy the sea and harbour area. Enjoy this outdoor cycle tour with the family. Enjoy a wonderful adventure across Weymouth. Follow this link to our Guide To Activities And Things To Do In Weymouth. You can read more about the featured places to eat recommended by Redcliff Guest House. If you love shopping, you’ll love Weymouth. There are plenty of shopping malls and shops to visit, especially with the family. From clothing and accessories, to memorabilia and jewellery. Weymouth sure has something to offer everyone who visits. There are also beach shops with fun activities for the kids. Visit the beach shops for : buckets and spades, armbands, blow up whales and sharks, flower windmills, fishing nets and footballs. For art lovers there is also art for sale on the beach. You will also find work by local artists in Cove Gallery. There is always something exciting happening in Weymouth. Here is a selection of the annual events that take place in Weymouth and the surrounding areas. 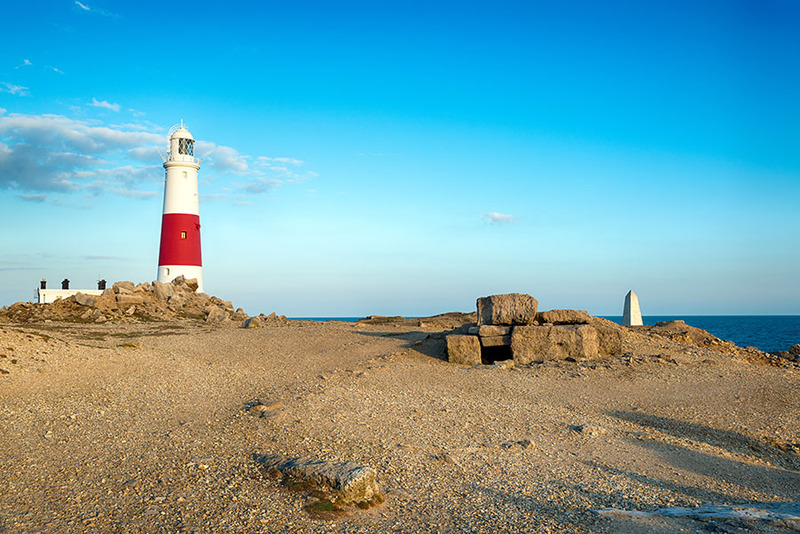 We hope that this guide is helpful to you for when you visit Weymouth and Portland. The Redcliff Guest House offer comfortable accommodation at our welcoming bed and breakfast. Please visit our website to book your room with us. We look forward to meeting you soon. This guide was too big to fit on one page so please follow the link below to continue reading more.